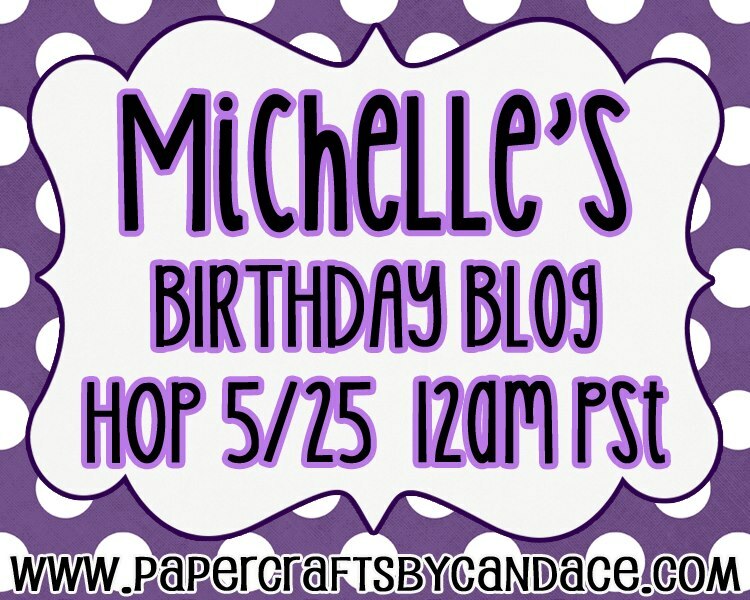 It's Michelle's Birthday today and of course we are having a Birthday Celebration Blog Hop! Don't Forget to Greet the Birthday Girl!!! Thank you all joining us and Have Fun Hopping! Awesome hop!! Waiting to see Dottie and Princess Minnie.. but everyone's creations were fantastic!!! Wonderful hop as always!! was a great way to start a rainy day!!!! Whoo Hoo!! Happy Birthday Michelle!! Looking forward to this fun hop!!! Have a GREAT holiday weekend Jaded Blossom!! 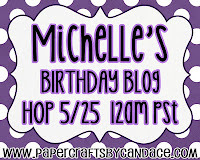 What a fun hop and Happy birthday to Michelle. I enjoyed this hop very much, I think I gain a few pounds along the way LOL! I sat down witha box of my fave candy ( chocolate covered marshmallows) and lost cOunt of how many I eat LOL!!! Have a wonderful day and Happy birthday to Michelle!